The TTR Officine Rigamonti Team will look to make their mark in the World Enduro Super Series in 2019. With less than one-month to go until the championship gets under way in Portugal, the three-rider strong Italian-owned TTR Officine Rigamonti squad of Pol Tarres, Enrico Rinaldi and Alessandro Azzalini are eager to impress on the world stage. Set to become a welcomed and regular presence in this season’s WESS paddock, the Husqvarna-supported team features a mixture of talented Hard Enduro and Classic Enduro riders. Fresh off a terrific fourth overall in the 2019 FIM SuperEnduro World Championship, Spain’s Pol Tarres headlines. A former Junior Trials World Champion, 25-year-old Tarres made the switch to Enduro in 2016. Following his fourth-place overall result in the 2017 Extreme XL Lagares, he contested selected rounds of WESS during 2018 with notable results. A top-10 at Extreme XL Lagares, backed up by ninth at Erzbergrodeo Red Bull Hare Scramble shows Tarres - now with the backing of TTR Officine Rigamonti - will be a rider to watch for in 2019. 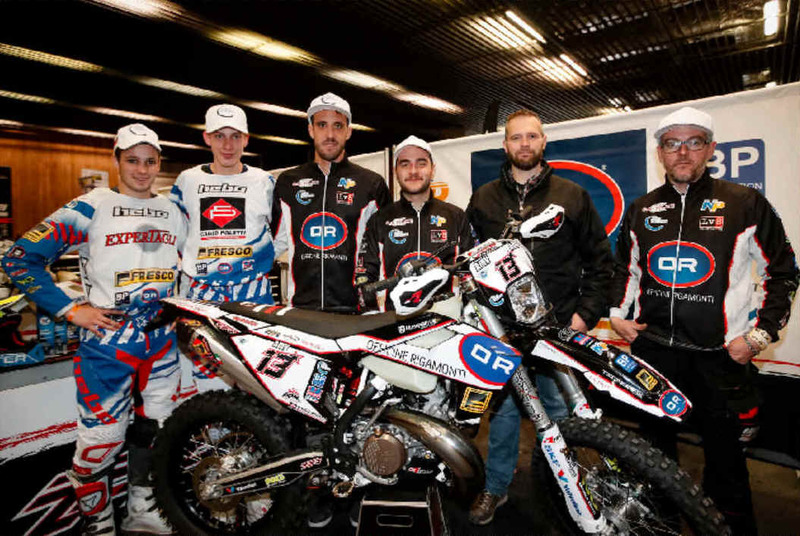 Joining Tarres are rising Italian Enduro talents of Rinaldi and Azzalini. Son of four-time World Enduro Champion Mario Rinaldi, 17-year-old Enrico has been immersed in the sport all his life. Since joining TTR Officine Rigamonti in November he is now carving out his own career in Enduro. A strong SuperEnduro Junior campaign saw him finish sixth overall, despite missing round one. A podium result at round four in Hungary and a heat race win at round five in Spain will certainly have inspired the young Italian to carry that form into WESS. At 20 years of age, Azzalini is another young rider eager to show his speed at the highest level of Enduro competition. The Italian has previous experience in numerous rounds of WESS having contested Erzbergrodeo Red Bull Hare Scramble and Red Bull Romaniacs, plus other international Hard Enduros. The eight-round 2019 World Enduro Super Series beings with Portugal’s Toyota Porto Extreme XL Lagares on May 10-12.